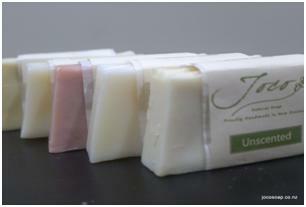 Multi-talented Yoko of Joco Soap makes delicious soaps, lotions and lip balms, she also has an interest in soy candles and is passionate about producing quality cosmetic and skincare items. Here, she shares an insight into her creative world..
Hi, I am Yoko Katada. I make hand-made soaps, soy candles, and I make my own cosmetics such as facial lotion, lip balms, etc. I am originally from Japan and I’ve been living in New Zealand since 1997. I do a bit of everything. I work as a medical in Auckland CBD. I also teach children Japanese every Friday. I just finished studying Diploma in Interpreting and Translation at AUT so hopefully I can be a medical interpreter at the public hospital as well. On the other hand, I always loved drawing, designing, and resin arts, pretty much everything except for sawing. One day, I made soaps for my husband, who is originally from Hungary, loved my soap that he supported for me to make soaps more and more. 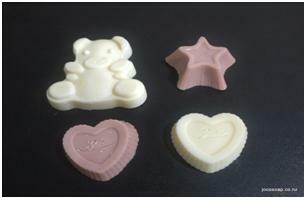 Friends around me loved my soaps and it was the beginning of starting my little soap business. I also ended up becoming a candle maker as I was looking for alternative source of fragrance to go with the soap so that I don’t have to put too much fragrance in it. 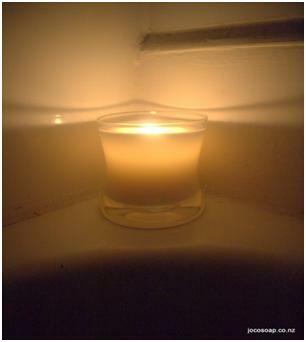 I make cold-processed soap using olive oil and very nice soy candles. My product range will be more and more as we grow. Hope I can make a chemical free sunscreen?? One day? Who are your creative role models? What music, books, images, poetry spark your creation fire? Sometimes, the old music I used to listen and sing when I was a teenager, which I used to sing at Karaoke booth in Japan. Some nice TV programs English/Japanese, movies, anything touches my heart. Sometimes, tracing back my old memories and think of people used to inspire me… my grandparents, aunt, and my English grandma. Sometimes, I read self-esteem books, and reiki books. When you output something (detox), you can input something new! About Dreams and Dogs! I love animals in general though. If you could go to there free workshops/creative events this year which ones would they be? What are they about? 1) Commercial Cosmetic Manufacture – I want to see how they manufacture and what they use. 2) Jewellery Making workshop - Just because I love them. 3) Hum… maybe other handmade cosmetics workshop to learn new skills. I am not sure if I am balancing my creative life with my family and life commitments :) Maybe by being part-time student, teacher, receptionist, wife and mum of a dog. What is your favourite creative screw- up? Your soaps sound really nice, and I love what you said about "When you output something (detox) you can input something new". You will start to realise so many things around us is actually full of chemical. Even the food you are eating.Many people are anti-palm oil, mining etc. but people eat take aways, chocolates etc. and helping those without realising. How many ladies have big diamonds on their fingers? I think that we are going back to basics, like in the old days.